My Pink Candy Giveaway & $25 Away from HUGE Goal! I can finally say that I am just about 100% better! It’s been such a long time since I felt like I was well! I’m having a great time with my oldest daughter Katelyn home from college! We are going to have a spa day this week and go to lunch multiple times. I’m going to enjoy every minute until we take her back to the airport on Saturday! I’m excited for this week’s giveaway! I love Stampin’ Up!’s Ink Pad Caddy and actually have 2 of these in my office right now! You can click HERE if you would like to order one for yourself! I also wanted to share with you all that I am only $25 in sales away from a HUGE sales milestone for me! I am so grateful for each and every order I get. Thank you so much for your loyalty and allowing me to be your Stampin’ Up! Demonstrator! « Stampin’ Up! Make a Medallion Thank You Cards & a New Puppy! Thanks for all the opportunities to win something…I would love to win that caddy. Enjoy the time with your daughter! I have my stamps in a card board box and I have to root through them to find what I need. I could really use this caddy! If you haven't met your sales goal yet you will when I get my order placed. Thanks a bunch! I've hundreds of stamp pads but no way to store; this would work and I'm certain is then need to purchase more. I'm so happy you're feeling better. Take care and I'm happy I have found a StampinUp consultant I feel I'm able to trust! Ive been debating this caddy. Would love to win. I have been a Stampin' Up customer for so many years and have never gotten one of these. Thanks for the chance to win. What an excellent storage solution. Thanks Robyn. wklibearty at yahoo dot com. I've wanted one of those, but always pick more stamping supplies over it! I have no slots left in my current ink shelf, would love to win the caddy. Congrats on making your goal, I'm sure it will not be long before you make the next one! Glad you are feeling better. Congrats on the milestone and thanks for the chance to win an ink caddy. Enjoy your mother/daughter time. Even moment is precious! So happy for you! You are such an awesome SU demonstrator. Thanks for an awesome giveaway. Fingers crossed I am picked. So close, I know you will make that milestone! So glad you are feeling better. Thanks for a chance to win an ink caddy. It sure would help me keep my crafting area tidy! I need something to organize my inks. I've always wanted one of these! Thanks for the opportunity. Have a great week. Happy to hear you are getting well. We've had the stomach bug and bad colds going through our house for what seems like a month! I'm ready for warm weather that is here to stay! Thanks and Congrats on the big sales milestone! So glad to hear that you are feeling better! Enjoy your time with your daughter…we all know how much you miss her! Thanks for an awesome giveaway! I'm sure by now you've already met your goal with SU! Have a fantastic week!! Glad you are feeling better and enjoying time with your daughter! This is an awesome giveaway!! I am so glad that you can enjoy some special time with your daughter and that you are feeling better!! Thanks for all you do for us!! Glad you are feeling better!! Enjoy all the time you have with your oldest daughter, they grow up so fast. Wow!! An ink caddy would be an awesome gift to win. Thanks so much for the chance. So happy you are feeling better. You must be having so much fun with your daughter! I bet she is missing the warmth of Hawaii right now. I have always wanted one of those caddies so thank you for the chance to win. I would love this caddy Robyn! I am loving the classes! I would love the caddy!! Curious to know what milestone you hit! Thank you for all your ideas. Would live a caddy! Congratulations Robyn!!! You deserve everything that you achieve!!! Enjoy your daughter as much as you can this week!!! Saturday will be here in a blink of an eye! Awesome giveaway this week!!! Would love to win the Stampin' Caddy! Thanks for the chance! Robyn, Congratulations on your sales. I love being a customer. Wonderful news! Glad your feeling better. Would Love to win. Thank You! Congratulations! !!!! What a FABULOUS giveaway! Thanks for the chance. Also, CONGRATS on reaching your goal!! Love the stamp caddy! I've outgrown mine, would love to win!! Glad you're feeling better! I'm glad you are feeling better. I have missed your Facebook posts. Princess Bella is adorable! I have a Cavalier King Charles Spaniel that is my little buddy…..she sure loves a lap! The stamp caddy is an awesome giveaway! Ooh I so need the stamping caddy! So glad you are feeling better. What a weekend your daughter and beautiful Princess Bella too! Wow what and great prize, I would love to win one!! I'm glad your feeling better in time to enjoy your time with your oldest daughter, have fun ? it is no fun to be sick.. I'm glad you are feeling better so you can enjoy your daughters visit. Great giveaway this week. Glad u are feeling much better !!!! N awesome that ur daughter is home n yes enjoy her to the most :-)!!! Loving the giveaway this is an awesome giveaway praying I win jiji ? Glad you are feeling much better! Enjoy your time with your Daughter!! Hope you feel better soon! Enjoy every minute with your daughter. I know what it is like to have a daughter in college and away. Take care. I sure you will reach you goal 10 times over! I would love to win the caddy! Glad you are back to your happy self! 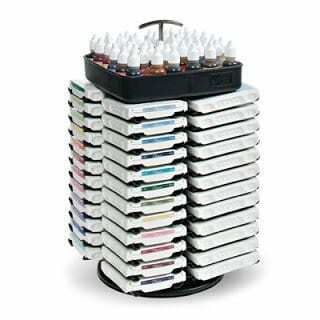 Would love to win an ink caddy! Nothing beats another organization tool. Would love the stampin up caddy. Glad you are feeling better. Glad you're well and able to enjoy your daughters visit . What an awesome prize…would love to win! Glad your feeling better and can spend time with your daughter. Those caddy's are awesome. Good to hear you are feeling better! Congrats on another huge milestone!!! I would love to win the ink pad caddy…thanks for the chance to win! So happy to hear you are feeling well so you can enjoy time with your daughter. I feel like we have watched your kids grow up on your blog. hee hee I would so very much like to win the caddy, my ink pads are running all amuck. Thank you for being so giving! Glad you are feeling better. Have fun with your daughter. Enjoy every minute with her. Thanks for the chance to win the Ink Pad Caddy. I sure do need one. Happy to hear you are feeling better. Enjoy your time with your daughter. Thanks for another awesome giveaway! Congratulations, have a fun time with your daughter!! So glad your better and just in time for your daughter being home! That would be awesome mine are in drawers or baskets or on or under the table lol. I need help! Glad you are feeling better. That's been on my wish list for awhile now. Enjoy you daughter's visit! Glad you are healthy again!! Congratulations on being so close or by now met your sales goal! What an amazing give away this week. Your generosity is awesome! ! Thank you for sharing your talent with all. Enjoy your visit this week. The giveaway is awesome! Imagine having all your ink pads in one place so you can find the pad you need when you need it, not three days later. I'm sure your goal has now been met! Congrats! Congratulations on your sales achievement! Enjoy your daughter while she is home from college. Enjoy all your family times together as life is too short. Ink caddy is on my list to buy BUT winning it would be best! WooHoo we celebrate you and yours and are so thankful for you and all you do ESP through your sales force! Shelley Lee is the best! So glad you are having good times with your daughter. Cherish them! Great giveaway – thanks! Congratulations on your sales goal! ? If I win then I would have to buy the inks. Only have 4 colors now. We had a Yorkie for 13 years. She was such a part of our family. Love her to pieces. Lucky you. Have fun with your daughter too. Congratulations on your milestone. You are an inspiration. Have fun with your daughter , the time goes by way to fast. Glad you are feeling better! And that you get a visit with your daughter! Congrats on reaching your sales milestone, as by now you have gotten a few more orders and working towards the next milestone! As far as that milestone — I think you've got it covered! I'd love to win this for a friend who needs a caddy! She would rather buy product she's low on — she needs a caddy! (She's also one of your customers). Thanks for the opportunity! I would love the stamp caddy. This has been on my wish list for a long time! Glad you're feeling better so you can enjoy your girlie's visit! So glad that you are finally feeling better. Enjoy all the time with your daughter!!!! Your giveaway is on my wish list already!!! You are always doing something amazing for us. This is an awesome giveaway. A great way to store all the stamps I have accumulated from all those great classes you offer. So glad you are feeling better and have your daughter home to enjoy. hatdijean@metrocast.net. Have that $25 today 8'm sure!! What a great giveaway! I just filled mine up. Have a blast with your daughter home! Oh I love the stamp caddy. Definitely on my wish list. Have a great day?? Glad you're feeling better! Enjoy your time with your daughter! I've been eyeing that caddy for awhile now, too. Thanks! oooOOOooo, an ink caddy. That would be handy. Congratulations on your milestone. Have fun with your daughter! Congrats on the next milestone! The stamp pad caddie is awesome! Sure beats the basket I have mine in! Glad you are feeling better, Robyn, and enjoy every minute with your daughter!